The best names in kitchenware Franke, Astracast, and other brands now offer Kitchen Sinks Value Packs through Aqva. If you wish to create a well-matched and stylish look at a fraction of the cost of individual purchases, then value packs are made for you. High quality elements from the brand have been especially picked up and co-ordinated for you, taking away the hassle of mixing and matching. In this manner, you get a complete set that is all but waiting to be installed in your kitchen. 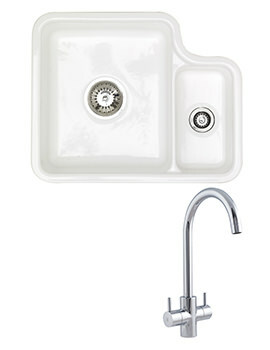 The Kitchen Sink and Tap value packs suit most kitchen themes and we have no doubt there is certainly one for you.